It has been waaaaay too long since we’ve posted, and we will catch you up on what we’ve been doing for the last month, but in the meantime, we wanted to give you something to think about on this beautiful feast of the Triumph of the Cross. 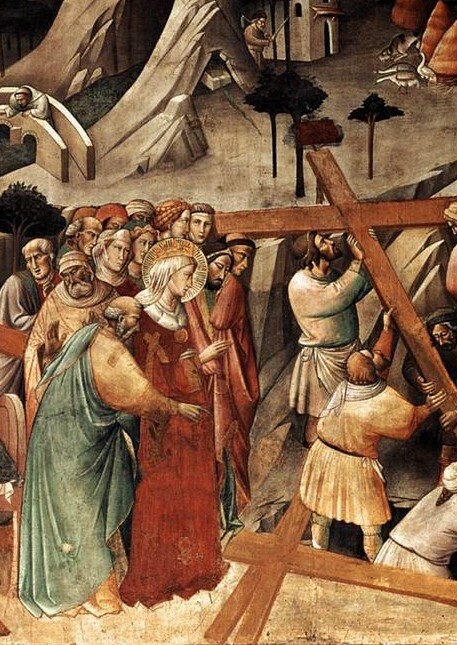 Today’s feast, as you may already know, celebrates the finding of the True Cross, on which Our Lord was crucified, by St. Helena, mother of Emperor Constantine. My poor soul has met with many a bitter hour of trial, with many a sore disappointment; it has bled beneath many a bolt of agony, and many a shaft of sorrow; but You have been its comfort, its stay. At my cry for help, in my anguish of heart, in my dire need, Your love gave me ready answer. A thousand times did I seek you in the oppressive darkness of spiritual aridity, groping about, for I had lost my way; and a thousand times I found You. . . . always in Your place in the tabernacle. You alone knew how to speak to me when my plaints found on earth no responsive echo of sympathy, no understanding. Then came the sad hours of sin: I offended You. But there was no spark of anger in Your heart; You thought not of just revenge; nay, You never even ceased to love me. In friendly, mysterious ways, the dear ways of Your love – well do You know them – You brought me to Your feet again. Gently You outpoured upon me the chalice of Your Precious Blood in order to cleanse my soul, humbled in the dust. And then came the final triumph of Your love over my misery; You invited me to be present at Your royal banquet, to be there often, yes, every day even! . . .O those Holy Communions! . . .what days of bliss in heaven on earth! . . .O loving Jesus! How often I have wept before You in the tabernacle’s shadow – and You have dried my tears; how often I have prayed – and You have heard me; how often I have made You solemn promises – and You have hidden them away in Your Sacred Heart; how often have I taken up my cross with renewed love and fervor – and You have given me the strength to carry it; how often have I yearned for heaven and You – and You have promised me both; how often have I loved You – and You?. . .You have quite overwhelmed me with Your rarest love. O how my obligations to God the Father weighed me down! But You saw my weakness, my inability to fulfill them; and You hastened to my assistance, generously offering Yourself in the Holy Sacrifice of the Mass and making Your strength my strength. A poor, miserable creature such as I am had never been in a position to offer God the adoration that is His due. But You have done so for me. Crushed to earth as I was with so many sins, I could never have appeased His anger – nay, not even had I shed the last drop of my blood; but You with Your Precious Blood, have quite washed all my sins away. So great was my weakness that fitting sentiments of gratitude never welled up in my heart at sight of all His many benefits; but You have thanked Him for me. My voice was too weak to pierce the heavens, my prayers too poor to be listened to; but You have prayed the Father for me. -From Eucharistic Whisperings, Vol. I, adapted by Winfrid Herbst, S.D.S. 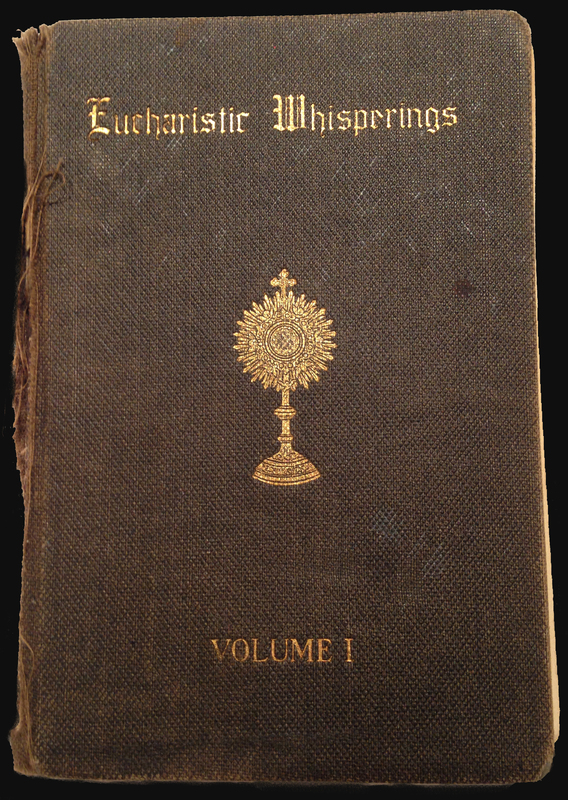 This entry was posted in Devotions, Jesus, The Spiritual Life and tagged Eucharistic devotions, Eucharistic Whisperings, Fullness of Truth Conference, Summa Enterprises, Triumph of the Cross by texasnuns. Bookmark the permalink.